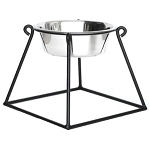 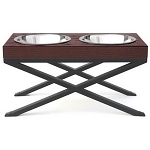 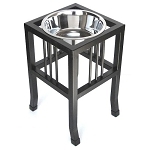 Raised pet feeders are the best way to provide your dog with food and water in one location and the heavy construction will prevent the bowl from moving when your dog is chowing down. 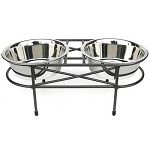 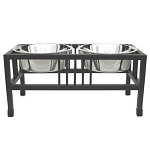 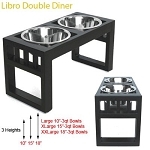 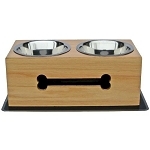 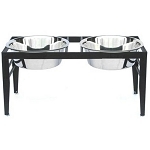 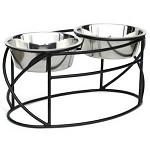 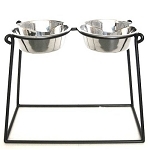 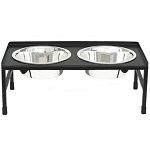 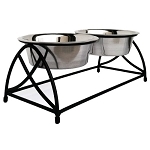 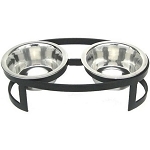 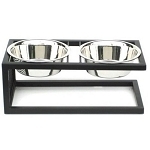 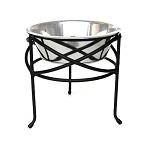 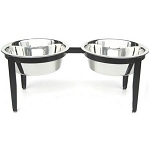 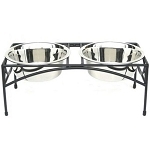 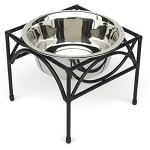 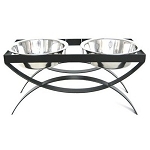 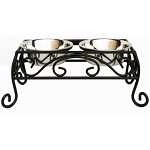 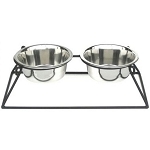 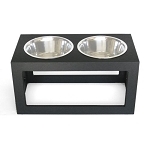 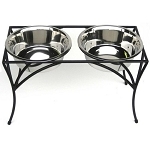 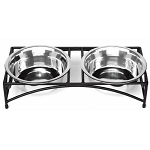 These feeders will provide your dog with the proper eating posture recommended by veterinarians. 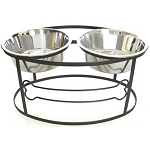 All the raised feeders include stainless steel bowls that are dishwasher safe and make for an easy clean-up. 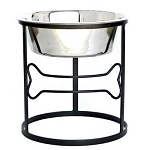 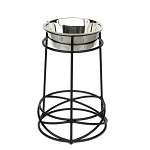 Veterinarians recommend elevated feeders because they: Promote hygiene and cleanliness, Provide easier eating and drinking for dogs with arthritis or neck or back problems, Aid dogs with megaesophagus, that have difficulty swallowing, or other digestive problems and help owners who have physical disabilities.